There’s a lot of fun things to do this weekend in Boston. 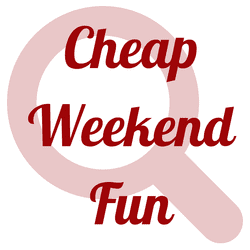 As always, please let me know in the comments below if I missed any fun and cheap events this weekend in the Greater Boston area! Taste of Iceland: March 4-7, 2016 across Boston. Enjoy Icelandic music, culture, and food with Taste of Iceland. A lot of the events are free, but some are not. Boston Symphony Orchestra: Free Chamber Concert: Sunday, March 6, 2016 at The Strand Theatre in Dorchester. Enjoy a free Boston Symphony Orchestra Chamber Concert within the community for an one-hour free performance. Boston Bridal Bash: Sunday, March 6, 2016. If you’re recently engaged, you may want to check out this Bridal event at the Sheraton Boston with knowledgeable vendors, giveaways and more. Free tickets available through Goldstar Boston (aff link) otherwise tickets are $15. Kid Price Saturday at Zoo New England: Pay and feel like a kid the first Saturday of every month at Franklin Park Zoo or Stone Zoo for the price of kids admission! Cambridge Winter Farmers Market: Every Saturday from January 9-April 30, 2015 from 10am to 2pm. Enjoy this local famers market at the Cambridge Community Center. Dine Out Boston also kicks off on Sunday for the first of two weeks with many Boston restaurants participating with set menu prices and fixed menus.